2015 has been a successful year for both local land conservation and the North Shore Land Alliance. The acquisition of the 32-acre DeForest Williams property in Cold Spring Harbor was closed on March 10th. This was an $8.5 M public private partnership among the County of Suffolk, Town of Huntington, State of New York, North Shore Land Alliance and Cold Spring Harbor community. This acquisition created a public preserve in a densely populated area and is particularly important for water quality protection. The Land Alliance is also in contract to acquire an additional 3-acre parcel contingent to Wawapek for educational purposes. The acquisition of the 28-acre Humes property in Mill Neck. The Humes property is the #1 most environmentally significant property in our community and connects three previously protected areas to create a 150-acre wetland and wildlife corridor. The Land Alliance is also very interested in purchasing the adjacent Humes Japanese Stroll Garden. The transfer of ownership of 62 acres of preserves owned by The Nature Conservancy to the Land Alliance. Those preserves were the 42-Acre Hope Goddard Iselin Preserve, Upper Brookville, and the 20-acre Darwin James Preserve, Old Brookville. We also continued our work at the Shore Road Sanctuary (formerly the ExxonMobil property) by installing a pervious parking area flanked by rain gardens to enhance wildlife habitat. Co-sponsorship of the 2015 Long Island Food Conference, a day-long conference at Hofstra University with the intent of empowering people to grow food in suburban locations. The launch of the Long Island Water Education Program in local schools which helped more than 1,500 public school children learn about Long Island’s sole source aquifer, watersheds, water conservation, native plants and the connection between land and abundant clean water. 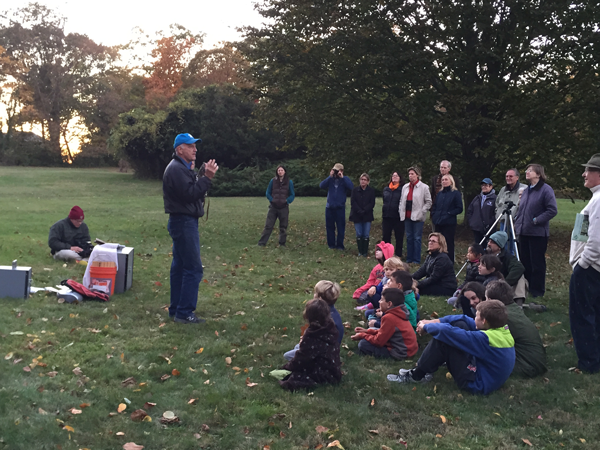 Continued community outreach to broaden the Land Alliance’s membership base by hosting a dozen Walks in the Woods, six fundraising events and various conservation-oriented publications. In total, the Land Alliance grew its inventory of protected lands by 122 acres and increased membership by 196 new families. The North Shore Land Alliance today is far more effective and far more credible in the cause of open space protection than we were a decade ago. But there is much more to do and we continue to rely on the help of our community to reach our goal of protecting an additional 1,500 acres of the North Shore’s remaining open space in the next several years. 2015 was our best year yet and we know with your continued support 2016 can be even better! For more information about the Land Alliance please contact us at 516-626-0908. Congratulations on all the accomplishments in 2015! The work and commitment to conservation will be felt and appreciated for many generations to come. Wishing everyone at North Shore Land Alliance a Happy and Joyous Holiday Season.